The Zombies have broke out of prison! and they are hungry! 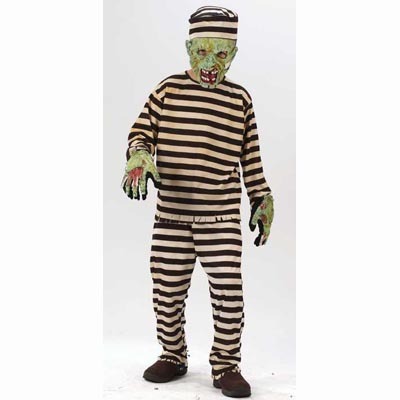 You too can can a Zombie Convict for Halloween! Zombies that work on cars?? Would you let this guy work on your car? I dont know but it make a good Halloween costume! its solar powered and would look awesome in anyone yard this coming Halloween! It will pay for itself with the money you saved not buying batteries or using electricity! 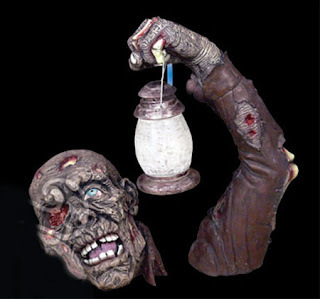 Zombies are hot right now and there are some cool new animatronic props coming in 2010 just in time for Halloween! I am current carrying props from Distortions Unlimited in Colorado The props in this group include seven new characters – Crotchety Grandpa, Bones, Twitch, Psycho Sam, Buzz, Creepy Cathy, and Twisted. Creepy Cathy is my favorite.